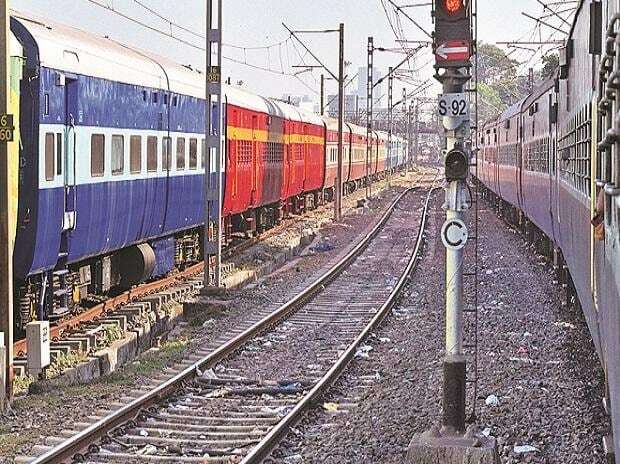 The Railways' total earnings are way behind target -- it had earned Rs 1.15 trillion against the target of Rs 1.22 trillion at the end of November this year, a shortfall of Rs 78.4 billion, according to a financial review prepared by the Railways. The ordinary working expenditure of the national transporter was Rs 1.03 trillion as against the budget projection of Rs 984.41 billion by November-end this fiscal. In the passenger segment, it earned Rs 339 billion against the target of Rs 345.83 billion, a deficit of Rs 6.83 billion. Currently, the loss in the passenger business is hovering around Rs 300 billion. This means that, in the April-November period, the national transporter spent Rs 112.91 to generate every Rs 100, which is reflective of a lower growth in traffic against the set target and heavy outgo on account of increased pension liability and working expenses. The Railways has earmarked its highest ever capital expenditure of Rs 1.49 trillion for the current fiscal with the focus on capacity augmentation, electrification and overall infrastructure upgradation.